Compared with the activities and occupations our parents and grandparents held, American life has become increasingly more sedentary. We spend countless leisure hours consuming technology on TVs, computers, smartphones, and tablets. Our jobs allow or even require us to sit to perform our work. Between any medical conditions that make it challenging or unpleasant to be mobile, junk food that’s too-easily-accessible, and technology that lures us to mindlessly do nothing, it’s not surprising that Americans spend a staggering 70% of their waking hours sitting. After retirement, it’s tempting to put your feet up after all those hard-working years. But, as the saying goes, if you don’t use it, you lose it! Mobility after retirement is vital to maintaining good memory, health, and quality of life. Physical Therapy (PT) is here to help! There is building evidence to support that exercise is not only good for cardiovascular health, maintaining a healthy weight, and cutting down chances of other diseases, but also improving memory and cognitive functions. Exercise stimulates the production and circulation of chemicals that grow new blood vessels in the brain. Increased circulation through exercise also brings more blood to the brain. More blood means more oxygen and nutrients. Oxygen and nutrients help maintain the overall health of the new brain cells, which improves memory and cognitive function. Exercise also improves mood through the release of endorphins, helps you sleep better, and reduces stress and anxiety. All these things are vital for good memory. Studies show that those who exercise regularly have a decreased risk for dementia. For those already diagnosed with dementia, exercise is particularly beneficial in slowing the progression of disease. All these reasons are great motivators for having a regular exercise routine! Unfortunately with the elderly population, it’s not always as easy as lacing up running shoes and going for a jog. This is one way physical therapists are so beneficial. They assess the overall capabilities of their patient and find the best exercise programs while maintaining safety. Physical therapists are trained to help their patients maintain their highest level of function for as long as they can. They strengthen muscles, improve coordination, and provide training and modifications that allow a task to be done easier. Safety is also key to being independent. Balance training is also provided to improve safety and reduce the risk of falls. After completing the plan of care, the patient receives a Home Exercise Program (HEP). This is a light exercise program tailored to the specific needs of the patient. It helps maintain the muscle they worked hard to build. It’s usually a 5-10 minute routine that is easy to perform every day. And don’t worry—the HEPs come with pictures! Many elderly will need assistive devices to help maintain their safety. It’s not as simple as selecting a cane from the drug store and using it as seen on TV. A physical therapist recommends an assistive device that allows the patient to be the most independent while being safe. They may even know of other devices that are better than what the patient requested! They adjust and modify each device to fit the patient’s needs and provide thorough instruction on using the device safely. Physical therapists are trained in how to shorten recovery time from both elective surgeries and surgeries resulting from a fall. They provide accountability, motivation, answer questions, and modify treatment as the patient moves through their recovery protocol. The improved strength, balance, and coordination from physical therapy significantly aids in the quality of life for the individual. They can care for themselves the way they’d like without waiting on anyone else. This not only benefits the individual, but their caregivers and loved ones. The more independent the individual is able to be, the less the caregiver needs to do. Physical therapy allows the individual to do as much as they’re able in a safe way. The therapist also assesses the individual’s weaknesses and where they need help performing a task. For example, an individual is unable to reach the closet’s top shelf and is unsafe using a step stool. The therapist may recommend a reacher or other modifications to keep the individual safe. Everyone benefits from the individual’s improved independence. 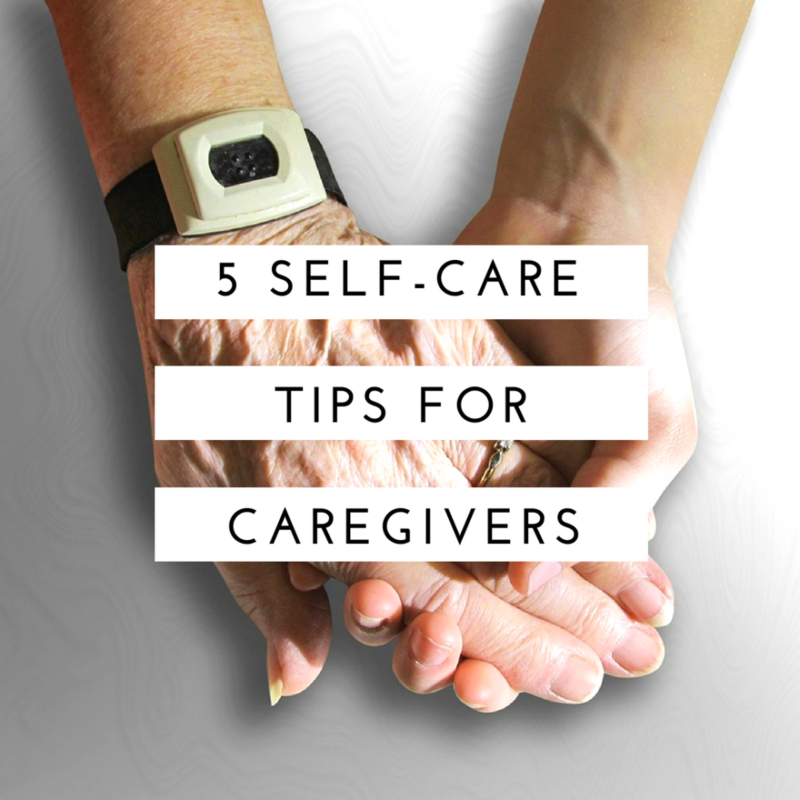 Caregivers have a lesser burden and a better peace of mind. While they are away, their loved one is equipped with the tools they need to stay safe and healthy. Mobility is vital for maintaining quality of life in any season of life, but especially in the elderly population. 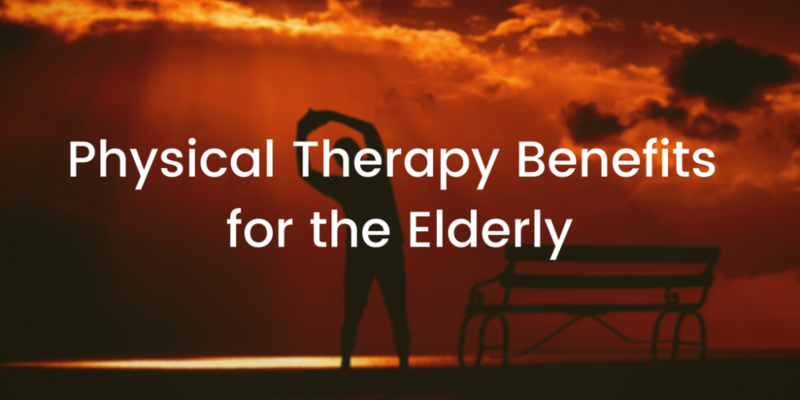 Physical therapy is an excellent way to combat strength, coordination, and balance deficits that come naturally with age. Caregivers can rest easy knowing that their loved one is safer and stronger at home. Contact your doctor for a referral for physical therapy today! You’re at a family get-together when you notice something is not right with your usually sharp-minded and witty mother. She didn’t remember that her first great-grandson was born a few months ago or the name of the neighbor who has lived next to her for twenty years. She tried to tell you about her trip to the supermarket but stumbled through the story and repeated tiny details. When do you attribute these things to old age, and when do you begin to wonder it’s something more? Everyone experiences the loss of brain neurons as they age, but those with dementia have an accelerated loss. For example, it’s normal to forget where you put your keys every once and a while, but it’s not normal to misplace them every day. Or, it’s normal to forget the name of that fancy cheese you had at the bridal shower, but it’s not normal to forget which present you brought to the shower. Alzheimer’s Disease (AD) is the most common form of dementia, affecting 5.7 million Americans. Although AD can develop in persons younger than 65–called Early Onset Alzheimer’s–96% of cases are in individuals 65 or older. AD occurs when certain proteins build up (called plaques and tangles) on the brain neurons, disrupting communication and ultimately leading to neuron death. While most people develop some plaques and tangles as they age, those with AD have many more. They develop in the areas of the brain that are responsible for memory and then progress to other areas of the brain, causing personality changes, difficulties with activities of daily living (ADLs), and the other signs of AD. Since there is no cure for AD, the plaques and tangles continue to spread through the brain, killing more and more neurons. Unfortunately, the prognosis for AD is poor. Life expectancy after diagnosis depends on many factors; most people live 4 to 8 years, while some can live up to 20 years. AD progresses through 3 stages. The time in each stage varies depending on the person, their treatment, and other factors. The first stage is called Mild of Early-Stage AD. In this stage, the individual is able to maintain a functionally independent life, however, family and friends will start to notice difficulties in the individual’s concentration, communication, and memory. The second stage is called Moderate or Middle-Stage AD. This is the longest stage, and can last for years. The individual will require a greater level of care, as they struggle with greater memory loss and confusion, bowel and bladder control, and wandering tendencies. Perhaps the most difficult decline to observe is the change in behavior, as the individual becomes moody, delusion, compulsive, and angry, often becoming someone that loved ones don’t recognize. The last stage is called Severe or Late-Stage AD. Unfortunately, the individual no longer interacts with their environment. They cannot carry on a conversation, perform personal hygiene, and eventually lose the ability to move. Behavioral changes and memory loss also continue to get worse. Because of these significant challenges, the individual will need 24-hour care for all their needs. 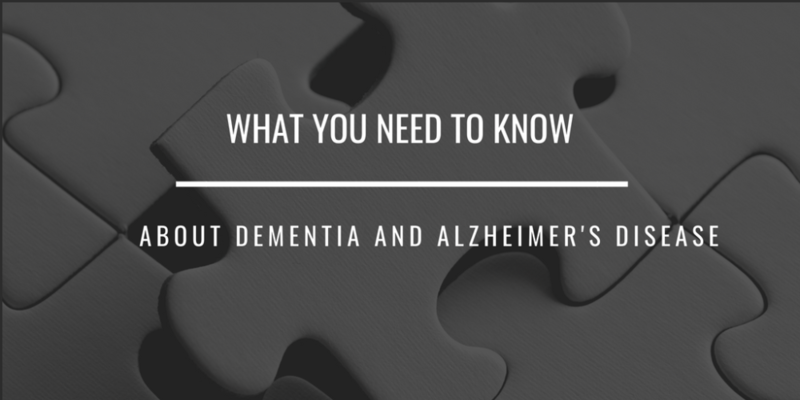 What Can I do if I suspect Alzheimer’s Disease? If you suspect dementia or Alzheimer’s Disease for you or a loved one, make an immediate appointment with a doctor. If AD is diagnosed, you can create a care plan team of doctors, nurses, specialists, therapists, nutritionists, support groups, and more. These professionals aid the individual and their family through drug and non-drug measures to slow the progression of the disease and keep them healthy for as long as possible. Dementia is an umbrella term that encompasses many diseases that result from brain neuron death. Alzheimer’s Disease is the most common form of dementia. While there is no cure for dementia or AD, early detection improves the individual’s quality of life. Early drug and non-drug interventions slow the progression of the disease. If you suspect dementia or AD for you or a loved one, make an appointment with a doctor! If you’re one of the 43.5 million Americans providing care to another adult or child, you know the toll that caregiving takes on your body. When your priority is caring for another, it’s easy to push the care for yourself to the back burner. However, this should only be a short-term solution, as caregiving is linked to a long list of health risk factors. The increased stress and sleep disturbances can lead to more infectious illnesses with longer recovery times, cardiovascular disease, arthritis, type II diabetes, certain cancers, and more. In one study, almost a third of caregivers report depression. The good news is this doesn’t have to be you! You can find renewed joy in serving your loved one. Taking a little time each day to care for yourself breaks the cycle of stress and emotional build-up. When you are refreshed, you are better equipped to provide quality and loving care to others. That’s something that benefits everyone! It’s easy to give a long list for you can’t take a break. Sometimes the hardest part is just admitting you need one! Many caregivers feel like they are the only one holding everything together or that they’re failing if they need help. Far from it! Knowing your boundaries and when you need a break ensures both you and your loved one stay happy and safe. You’re not failing when you reach out for help! We all need time and space to recharge, and there are more people willing to help than you realize. Even if you don’t have relatives or friends who are able to assist you, there are respite care services such as Nurse Next Door. Additionally, take some time throughout the day to recharge and do something you enjoy. Its tempting to stay busy while your loved one is resting or doing an independent activity, but don’t feel guilty taking some down time for yourself. Even simple deep breathing exercises can significantly reduce your stress levels. We’ve all been there: you’ve had a long and exhausting day. All you want to do is watch your favorite TV show undisturbed while eating chips and ice cream. While this kind of rest is not always bad, it’s usually counterproductive, leaving you grouchy and craving more alone time. Finding an activity that is truly restful and leaves you feel rejuvenated. Dust off some of your old hobbies or pick up a new one! Quiet your mind with yoga, reading, baking, or crafting. These types of activities reduce your stress levels and help you be ready to continue caring for your loved one. Balancing your own life with caring for your loved one is challenging. It’s understandable to feel frustrated when you have to miss your daughter’s soccer game for your father’s podiatrist appointment. Finding an organizational system that works for you will provide greater control and predictability over your schedule. You may prefer a day planner, a wall calendar, or setting up reminders on your phone for appointments. (If your loved one is battling dementia, a wall calendar is an excellent idea for their memory, too!) File away all medical paperwork and bills in filing cabinets for easy recovery later. Keeping a flexible routine provides structure to your day and comforting predictability for your loved one. When you spend your day caring for others, it’s difficult to exert more energy figuring out a healthy meal or exercising. However, making the choice to eat a balanced diet and exercise benefits everyone—and no one regrets being healthier! Thankfully you don’t have to go to the gym to exercise: a 10 minute walk in the sun, dancing to music (maybe even with your loved one! ), yoga, gardening or lawn care, or any number of activities that raise your heart rate gets endorphins flowing to reduce depression and stress and improve your health. Take a few minutes throughout the day to plan and prep meals; if you have healthy meals and snacks ready to go, you’re less likely to give into cravings and junk food. Little changes are an easy way to start but make a big difference! Replace red meats with lean proteins, white bread with whole grain bread, cooked vegetables with fresh vegetables, and cutting back on your serving of cake. Especially in this social media age, you may not even have to leave your living room to engage with others who share your experiences. Facebook and support group pages abound, as well as support groups where you can meet in person. There are search engines to find a group for your situation in your location, and many hospitals offer support groups. If a support group isn’t for you, it’s important to share your experiences, frustrations, and joys with others. Talking about your day with a friend or family member helps relieve stress and keeps you from feeling isolated. You are doing a wonderful and sacrificial thing by caring for your loved one, but you don’t have to let your personhood and health suffer because of it! By implementing one or more of these suggestions, you are making a positive change that benefits your overall health so that you can be the best caregiver for your loved one.